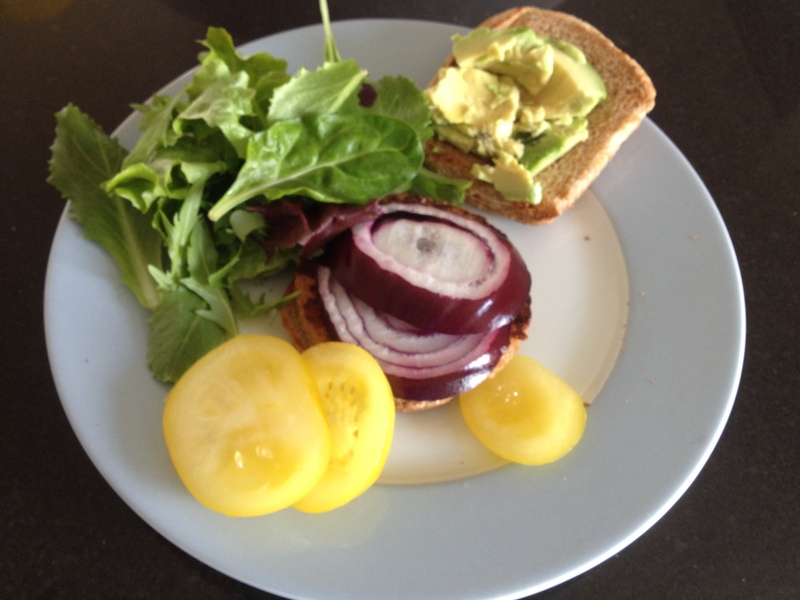 Veggie burger for breakfast! When I don’t feel like potatoes in the morning, I make a Boca burger. It’s probably good to mix up the colors occasionally, at least for variety’s sake. There’s some differences in the nutritional content of red vs. yellow tomatoes, like it matters. Please pretend the photo is in focus. Next Post → If There’s No Food Reward, Then Why Do I Eat The Whole Box Of Cookies?